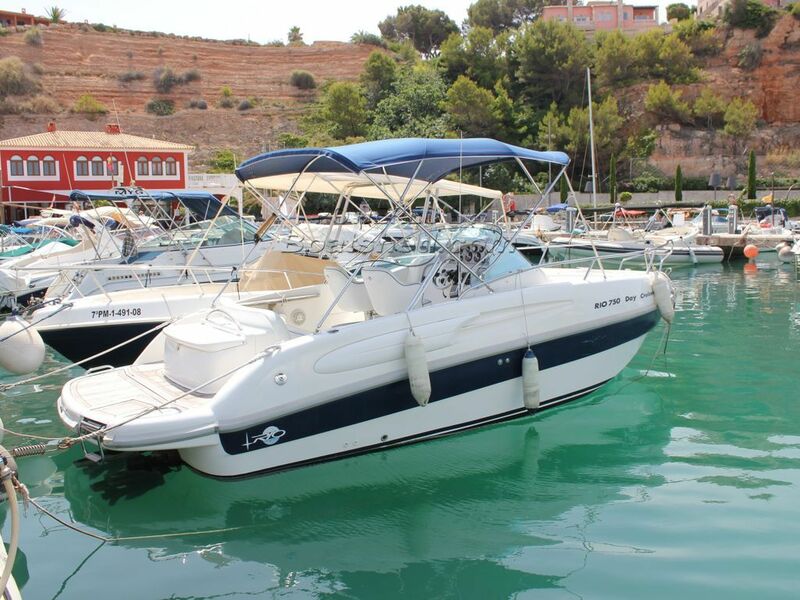 A great boat for the Balearic coastline. Serviced and polished yearly, and this shows when you get aboard and look around. A great way to get out on the water, and only on the market, as the owners are selling to get a bigger Rio. Under 8m overall, so she's good for marina berthing slots. Yearly Spanish safety inspection, and documentation to prove. This Rio 750 Day Cruiser has been personally photographed and viewed by Rory Gillard of Boatshed Palma. Click here for contact details. Please note this comments section is public. Please do not post your personal details here. To enquire about purchasing this boat, please contact the broker directly at rorygillard@boatshedpalma.com. Please read our commenting guidelines before posting.